In this fourth part of our International Women’s Day series, nine women leaders recount the challenges they faced throughout their career, how they overcame them, and talk about the support system they think organisations can provide. After all, when it comes to the support women need in their career, who would know better than the women themselves? The women in this part of the series come from multinationals of various industries including 3M, AIA, Essence, HP Inc, Lloyd’s, Mastercard, Nikko Asset Management, Procter & Gamble, and Roche Diagnostics. Back in the day, there were not many opportunities for women in the corporate world in Japan. Most women chose to work as assistants, and women in business and engineering roles were few and far between. As an engineer by training, being a woman leader in my era required determination, a strategic approach in career development, and making priorities in life. I differentiated myself by studying technology and English, and sought opportunities to work in diverse environments, countries and industries. I made a conscious decision to start my career at 3M, a science-based multinational company that believes in diversity and inclusion. I later joined a consulting firm for several years, where I gained diverse skillsets, and learnt to survive and thrive in an intense and tough environment. I re-joined 3M Japan in 2008 and later became the only woman on its leadership team. I think organisations should have a clear strategy to drive women leadership. At 3M, diversity and inclusion is part of our corporate strategy, and embedded into our culture – every employee is expected to embrace it. Organisations should also expect and encourage women to take ownership of their own development and career, and support them through L&D programmes, such as mentoring. Finally, I think there is a need to teach employees how to manage their unconscious bias. This should start from the top and leaders must walk the talk. When it comes to support needed, it would help for organisations to provide more flexibility and demonstrate more mindfulness around when, where and how employees work – for both men and women. 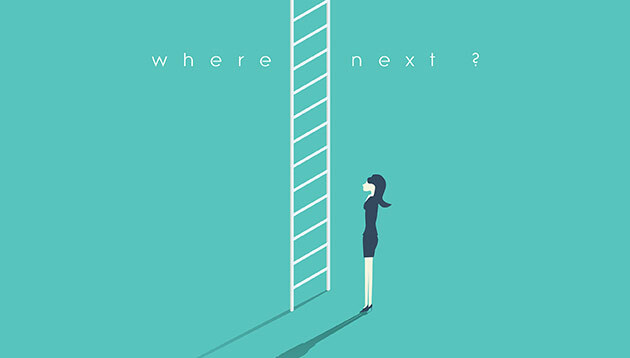 With that said, I do think that some women may need more encouragement to take the first step on embarking on a career journey towards a senior management role. For me, my children are my life. As a single parent who just wants to provide them with the best, my greatest challenge is balancing my commitments to my family and my career. The understanding and support from the strong, intelligent and well-connected women around me have helped me get to where I am today. I have also had the honour of working closely with many outstanding men, whose unfailing support, respect and confidence in me as their leader in our male-dominated industry have propelled me to be the best I can be. Together, we have celebrated good times and been there for one another through challenging times, inspiring one another to try harder for the things that matter. I am thankful for the opportunities and support I have found at work, and strongly believe that organisations must have a coaching culture to support aspiring women leaders. The thing is, while HR may encourage such initiatives, their success must be powered by the community within organisations. This is why I urge you to step up to empower the women around you, and to encourage the men to do the same. For example, I started the AIA Women’s Network (AIAWNW) in 2017. With our mission statement – Where Empowered Women Empower Women – the AIAWNW is a forum for the women of AIA Singapore to connect with, inspire and empower one another. We seek to recognise, identify and collectively overcome the common challenges that women face in the corporate world. We also encourage men to attend these events so that they, too, can make a difference by bringing these insights back to better support their wives, daughters, friends and colleagues. I am extremely proud to be working in an environment where the leaders and community support women in achieving their goals and aspirations as we work together to empower Singaporeans to live healthier, longer, better lives, and hope for the same in all organisations in Singapore. My awareness and challenges regarding gender diversity came later in my career. The first 3-4 years, I worked for creative and media agencies in Chicago, Tokyo and Frankfurt. Wherever I went, the majority of my colleagues were females. I moved to a marketing/client-side role and there was a healthy ratio of female representation in the marketing unit, hence I did not feel women were underrepresented. It wasn’t until I was in my mid-30s and was running product development and marketing for a game studio in London when I found myself to be the only female VP among 10+ other colleagues. Somewhere in their early 30s, many talented female leaders had resigned for various reasons and I saw similar trends in the U.S., the UK and Japan. I’ve been fortunate to have a supporting network of friends, family and colleagues who have always been generous to help, understand and respect my priorities. At the same time, it was acutely clear that not all women had access to such support and I felt the need to take on some initiatives at an organisational level to support women to stay in business. According to Harvard Business Review (HBR), when an organisation’s executives are at least 30% female, it leads to 15% gains in profitability and can be an advantage to recruiting and retention. As an industry, we can do more to push the culture of mentorship forward to support the younger generation of upcoming women leaders. Keeping talent pipelines full is a challenge, and it can be particularly difficult for HR leaders to make sure they have enough female talent with high career aspirations, experience and skills to fill senior levels. We need to manage this challenge by identifying female talent from educational programs and recruiting women who’ve left the workplace due to family needs or unfriendly work environments. With the right retention efforts, policies and training programs, we can avoid losing promising leaders. There is a trend of female talent exiting the workplace in their 30s to focus on raising children. More than 40% of talented women put the brakes on, sometimes leaving the workplace entirely. Others work part-time or as independent contractors. In a tight talent market, policies that don’t accommodate the needs of parents can result in losing some of the most talented candidates, especially women. Workplaces must provide female employees with access to flexible workplace arrangements, child care facilities and other support services needed to find a balance. Gender bias is rarely apparent. However, the onus to remove bias should be on senior leadership and HR teams. In addition to anti-bias training for all employees, HR can help conduct audits to help give both males and females equal opportunities. Study conducted by HBR, suggests that at entry level, women form 46% of the workforce and as the career graph progresses, they gradually drop out, with just 19% of women who manage to climb the corporate ladder to make it to the C-suite position, as opposed to men who have the lion’s share at 81%. To genuinely address the gender diversity issue and impact, it’ll take a network of support system which will involve governments, think tanks, top business leaders – both men and women to rejig the status quo and the ecosystem. In my two-decade career, I had the fortune of working with world-class entrepreneurs, corporate marketers and leaders. I took the chance of working for each of these leaders to really ‘act as sponge’. By observing and learning from them, I developed my own leadership brand while deliberately building leadership muscle or technical skills I wanted to acquire. I also continuously stayed humble and learned daily. I strongly believe I am as good as the people I hire and lead. I am not afraid to recruit people who are smarter than me and I create an environment that promotes diversity of thoughts and embraces collective wisdom to achieve the impossible. 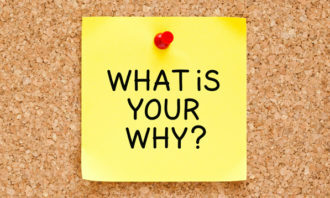 It is an imperative to find your purpose in career and life early and linking that to the impact you want to achieve as a leader, for yourself and the team you lead. Stay very focused on the personal growth you want to achieve and what you want to get out of each career journey. Most importantly, stay very resilient and keep trying. HP has a deliberate diversity agenda that includes women – which is fantastic! Forming network and groups to support women who aspire towards senior management roles is a great way to encourage and inspire aspiring women leaders. Women take on multiple roles at home and at work. Having the right support network and flexible working hours is always great. I did not have a clear career path in my mind when I started out. This came over time as I matured with experiences and tried new things. I was fortunate as I had a lot of opportunities and did not feel discriminated against or held back because of my gender. I used to think that by simply working harder, I will get to a certain measure of success. The turning point came with the understanding that it is not just about working hard but also about how you work and how you define success. It’s about giving myself the permission to experiment with my career, take some risks and know I would always learn something no matter what the outcome. Of course, like everyone I have had my share of setbacks, but the important thing is how you deal with these. Mistakes or challenges should be viewed as a chance to learn and grow rather than something that weighs you down – don’t fall into the trap of looking too much into the past, pick yourself up and move on. I think organisations can do a lot to support women who are aspiring to senior leadership roles. It is essential to have a genuine vision for inclusion and diversity in the workplace and then back this up with structures and processes which support movement towards this vision rather than hinder it, which can happen sometimes inadvertently. 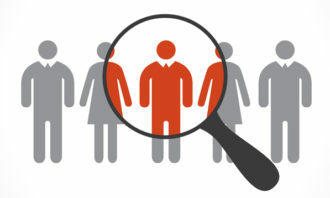 This is where the HR function and hiring managers play a key role in ensuring that hiring and promotion processes are unbiased. It is important that everyone in the organisation fosters a culture of inclusion. The tone and the action must be set from the top and action must also come from within the organisation at all levels. Lloyd’s takes diversity very seriously and I’m immensely proud that we are leading conversations on this topic in the insurance sector and financial industry more broadly. What I think we do well is that our words are backed by actions, which sends a strong message to our people. In 2016, Lloyd’s became a signatory of the Women in Finance Charter, a government-backed initiative designed to improve gender diversity in senior positions across the financial services sector. As part of this commitment, Lloyd’s has set out for a target of at least 40% male and 40% female representation in its senior management team by 2021. Lloyd’s is also one of the original collaborators and major proponents of the Dive In festival, a global initiative to celebrate and raise awareness of diversity and inclusion in the insurance industry. On top of all this, our current CEO, Dame Inga Beale, is the first female CEO in our history which spans over three centuries. This is an inspiring development and a massive step forward for our industry. To be clear, I do not think it is a “women versus men” thing – we achieve more together with perspectives from both sides. But I do believe that women need different support. There is a lot of talk about equality today and sometimes I think there is confusion between equality and being the same. In order to create true equality, we sometimes need a different or more flexible approach. For example, while conditions, processes or criteria may be the same for access to opportunity, in practical terms, they may not actually be gender-equal. The implementation of flexible work arrangements in many organisations in recent times is a huge step forward in recognising that flexibility could allow women to also contribute meaningfully to the organisation and build successful careers. There are a lot of other good examples and there is still so much more which can and should be done. My career has had an unconventional start, and I credit that to the strong women who raised me. Growing up, I considered my mother and aunt as my role models. My aunt worked in a legal firm, which was an uncommon accomplishment for women of her generation. A pivotal moment for me occurred when I was 16 years old, when my family could not finance my education further. I was clear that I wanted to go to university and requested my mother’s permission to let me support myself. This was a key moment for me, one that made me more resilient and determined to pursue my goals. Looking back, I fondly remember that moment as my first negotiation and discussion on career development. At Mastercard, our commitment to diversity and inclusion is unrelenting. Increasing female representation at senior levels is a key business priority for Mastercard and we are making progress in this endeavor. According to our 2017 Gender Equity Report, female representation at senior levels in our company has grown from 26% to 30% globally from 2013 to 2017. At our Asia Pacific headquarters in Singapore, four of our key functions are headed by women, including operations and technology, digital and emerging partnerships, core products and management of our Singapore market. Our strategy to drive gender equity in leadership includes having credible female mentors and role models. We find that mentorship serves as a critical tool in broadening diversity of thinking on a daily basis. In fact, it is a practice that is embraced by the leaders of our company. We also work to increase the interactions and visibility of all senior female executives through regular meetings, town hall sessions, and resource groups, so that the organisation’s junior members have more role models to look up to. In addition to these initiatives, Mastercard is introducing a new Women’s Leadership Program based on what we heard from our female employees over the last year. Besides identifying sponsors and mentors to guide career advancement and help build confidence, the program will also focus on creating judgement free discussions, safe zones, and training for both men and women on the value of diverse perspectives. In my working experience, I’ve noticed that women often shy away from raising their hands, which may stem from an underestimation of their own capabilities. As senior women leaders, the onus is on us to support these women and ensure that they realise their full potential. At Mastercard, we do so by scouting for suitable candidates and working with them to progress their careers to the next level. However, women’s advancement is not just a women’s issue, it also requires male support. We partnered with the Singapore Committee for UN Women to launch the HeForShe campaign to show our support for an equally representative workforce. In one year, over 93% of our male employees in Asia Pacific pledged to support women’s advancement. However, that’s only part of the equation. Driving diversity and inclusion begins from the top. We have male executive sponsors to support the advancement of women in each region. 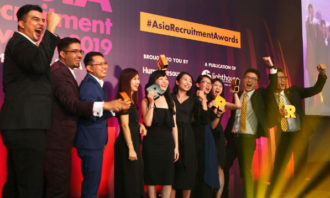 Ajay Banga, our global CEO is a vocal advocate for diversity and inclusion initiatives, while Bobby Molu, our CFO for Asia Pacific is a Mastercard representative for the Financial Women’s Association of Singapore. However, the support women need goes beyond the organisation. It must also come from their families, schools, and peers. My family was supportive of my education choices and career path. Supporting a woman’s educational autonomy and choice is the foundation to building their confidence as they enter the workforce. Finance is still only thinly populated by women, and especially in leadership roles. Even with constructs in place protecting women, they are often isolated in these largely male environments. When I first entered finance in a junior position, I addressed any biases by focusing on ensuring I would over-deliver on everything I did, in the hope that this would “offset” being female, and that this would allow me to work on relatively equal terms with men. I also tried to bring some significant differentiation to what I could deliver, over and above what the role required. This, I felt, would make me more valuable to the company, again “offsetting” being female. For example, I ensured I could speak several languages fluently, immediately giving me an edge internationally. Or, I would focus on becoming a subject-matter expert in a complex and relevant area where few others had expertise. Finally, when I became a mother, I needed to be highly disciplined in all parts of my life to ensure I could balance work and motherhood. This does involve being able to work on very tight schedules, but if this is organised, it is possible to flourish in finance. The best way for organisations and HR to support women is by finding opportunities for women to stretch into senior roles in the first place, and then allowing for flexibility on time management in those roles. Often, though of course not always, women bear most of the childcare and household workload, so balancing both the private and professional side can be hard. In this case, having flexible working hours is critical. This is not to do with less hours, it is to do with allowing women some freedom on how the hours are structured. Flexibility on arrival and departure times, together with remote access support for a home office, are areas that significantly help. But this can only work if the firm is supporting this positively (not grudgingly!) and if colleagues surrounding the employee respect this as her right, and there is no bias against those taking flexible working hours. This can also extend to supporting male employees with families to play a greater role at home, so their partner can have some balance. If they are supported in this way, the focus on delivering for the firm, and rising up through the ranks, becomes a real possibility. Clearly role models are a benefit, and an environment that supports training. But many companies may simply not yet have enough role models, and training may also not always be so readily available. So the best thing to start with should be flexible hours. This is an area where Nikko AM is a true employer of choice. Flexible working hours are offered, and remote access is provided so working from home is possible where it makes sense. This allows those women to combine their obligations outside of work with an ability to perform within work. Between the workplace and life outside of work, women often wear multiple hats each day. For me, these were the roles of mother, wife, career woman and me as an individual. What helped me balance these duties seamlessly and without compromise was a combination of having the courage to make tough decisions, a strong support system of mentors and family, and the flexibility my employer offered. I am incredibly fortunate to have had a solid foundation and network of support throughout my career with P&G, beginning more than 20 years ago. Most times, many career women are compelled to wear more than one hat at once – there is simply no time nor room for a wardrobe change. Gender equality is often thought to be a “women-only” movement. In reality, it takes two hands to clap. It is fundamentally important to have both women’s aspiration and men as allies in both the workplace and at home. Our self-doubt causes us to indirectly create our own obstacles. Like many people, I struggled with this, but I was also lucky to have encouraging mentors – both men and women – at P&G who believed in me, and continually pushed me to surpass my own boundaries and fearlessly aim higher in my career. While my male mentors were very supportive of my goals at work, my career ambitions would not have been possible without an equally supportive husband and family. There were at times difficult decisions I had to make to pursue my ambitions, but the understanding of my family, coupled with working in a company like P&G, definitely helped to ease tough situations. When I chose to pursue my career in Singapore while my family stayed in Korea, P&G eased the situation with flexible work arrangements in the form of frequent flights back home, and dual working locations, where possible. When I chose to relocate with my family to the U.S., fully prepared to put my career on hold, P&G created a role for me in the U.S. – ensuring that I didn’t have to choose between my career and family responsibilities. My positive experiences at P&G have certainly shaped the leader that I am today. With our #WeSeeEqual movement, we hope to empower aspiring women leaders with access to equal opportunities as their male counterparts, offer the support necessary to ensure their continued growth within the company, and for employers and employees to recognise the crucial role they both play in building leaders. Throughout my career, I have had the opportunity to work across different countries, different cultures and organisations. When I decided to make my first international step from my home country Slovenia to Germany, it was because I was curious, hungry for bigger challenges, and wanted to explore what I could achieve and how can I make an impact. These principles and drive have led me to where I am today. I’ve worked with predominantly male teams, who have often been far more senior than I am, in terms of age, experience and level within the organisation. Starting out as a younger and less experienced woman, I lacked courage to speak up at team meetings as I was concerned people would not listen to my opinions. I realised this was something I would consciously have to overcome. I decided to approach people one on one and get to know them better personally – as individuals rather than the designations they represented. In time, I was able to establish a good rapport with them, which made it easier for me to speak up in meetings and share my point of view. Ultimately I learnt, that you need to remember, that you are hired for your experience and skill set, so it is important to be confident about who you are and what you bring to the table. Of course, there are instances where the external environment can make this challenging such as working in some cultures, which are more hierarchical or patriarchal. In such situations, I observed and tried to better understand the cultural context and adapted myself to the environment, knowing the environment will not adapt to me. I learnt that with whatever you do, you have to set your sights high and then do everything in your power to reach there, regardless of your gender. In the course of my career, I have lived and worked in five different countries. I saw each role as an opportunity to prove myself, all over again. I constantly challenged myself because people will only believe in you, if you believe in yourself. At Roche, career development is seen as a personal journey. 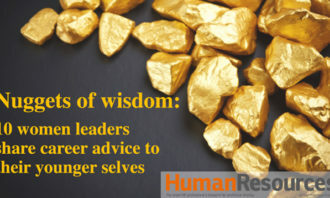 The leadership, in collaboration with HR, facilitates professional growth but you are expected to drive your own career trajectory. The company fosters an inclusive environment which allows all employees to share ideas and opinions in an open, engaging and respectful way. Such an environment is truly liberating because employees aren’t seen within the confines of gender. People are recognised for who they are and what they uniquely have to offer. A lot of women may be less outspoken and shy to ask for opportunities that they feel they are well-suited for. 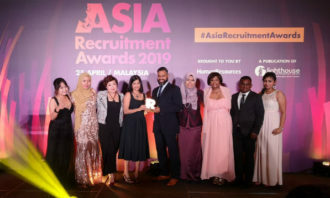 HR’s role is crucial to bringing visibility to the talent that rests within any organisation and creating a culture that enables individual growth. However, you are responsible for your career. You need to make a case for why you deserve a certain role or project, know your value and most of all, be resilient.